Van Gogh's formative years, when he moved to London at the age of 20, instilled in him a lifelong love of the city, the latest Tate Britain blockbuster exhibition, the extensive Van Gogh and Britain, reveals. The great Dutch artist spent close to three years, between 1873 and 1876, exploring the city's parks, galleries and museums - as his signature in the Dulwich Picture Gallery visitor book attests - and immersing himself in English literature. Dickens was a particular favourite. 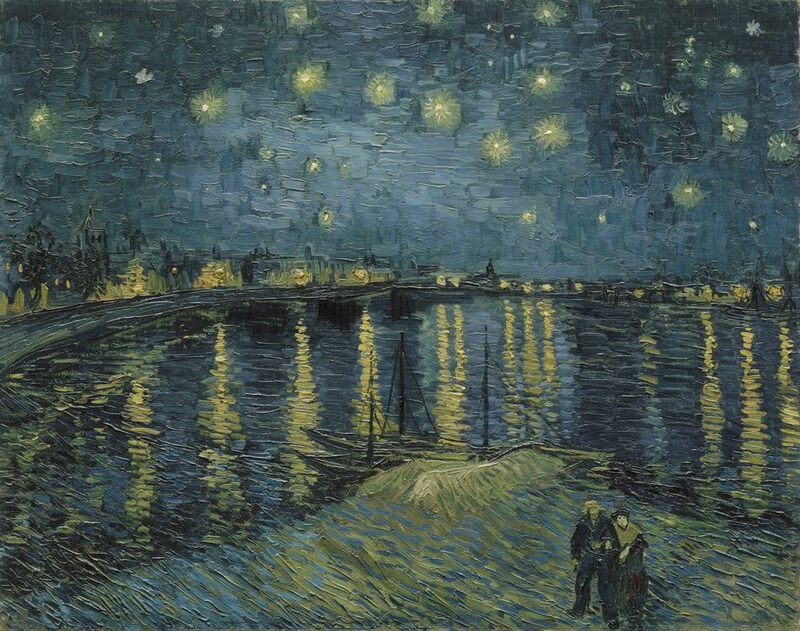 Van Gogh painted the hard times the author described, finding his models in the soup kitchen he went to. Despite his poverty, he collected around 2,000 engravings, most from English magazines such as the Illustrated London News, prints he returned to in his final months when he painted his only image of London, Prisoners Exercising, from Gustave Dore's print of Newgate Prison. An entire room is dedicated to Van Gogh's Sunflowers. The artist's 1888 masterpiece - which has only left the National Gallery three times in its history - is shown at Tate Britain for the first time, alongside artworks it has inspired. Stand out pieces include two self portraits, his well worn boots and the dazzling Starry Night, which demands attention and is worth the price of the ticket, alone. What are the best dining options near The EY Exhibition: Van Gogh and Britain London? The EY Exhibition: Van Gogh and Britain gyms, sporting activities, health & beauty and fitness. The best pubs near London The EY Exhibition: Van Gogh and Britain. The EY Exhibition: Van Gogh and Britain clubs, bars, cabaret nights, casinos and interesting nightlife. Where to have your meeting, conference, exhibition, private dining or training course near The EY Exhibition: Van Gogh and Britain. The artist's installation of black and white photographs and films relate to self-protection, psychophysical relationships and the power dynamics underlying how we relate to each other. The twice Turner Prize Award-nominee, best known for his large-scale, site-specific sculptural works, responds to the unique architecture of the Duveen Galleries. Major retrospective showcasing the painter's use of colour and bold experimentation in his paintings. From cheap budget accommodation to luxury 5 star suites see our discounts for Tate Britain hotels, including DoubleTree by Hilton Hotel Westminster from 81% off.